The alumni edition of the Blazer Blast was introduced in June 2014 as a way to keep our growing base of alumni informed about what’s happening at the school and what their fellow graduates are up to. 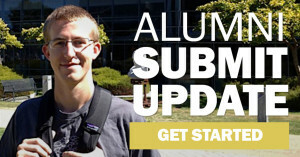 This e-newsletter is sent twice a year to all alumni for whom we have accurate email addresses. If you are not receiving the alumni e-newsletter, please fill out this information update form so we can add you to our list. If you have personal or professional updates you’d like to include in a future issue of the e-newsletter, please email Adrianne Glidewell-Smith, director of annual fund and alumni relations, at aglidewell@universityhighschool.org.